Put it in your calendar. 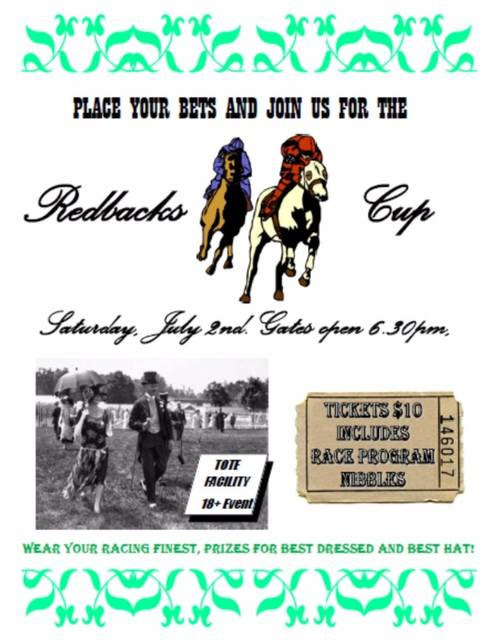 2nd July Race theme night. These night are always a funnight out. Prizes for Best Dressed and Best Hat. Not just for members so bring your friends, neigh bours. (get it) Neigh – bours for a great night out while supporting your club. 18 + event.